Unfortunately, for a variety of legal reasons, the 2-hour documentary is not available for public viewing. Below, watch a 2-minute clip from the 15-part “45701” television series (produced in Athens, Ohio in 1984) in which Billy Milligan agreed to make a guest appearance as himself. At the time, he was being treated at the Athens Mental Health Hospital. 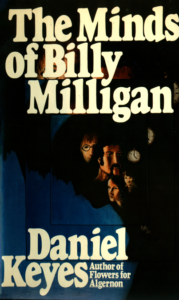 And, you will get to see the “Billy Milligan” most people were familiar with.